After teasing something called “Sega Forever" this entire month, today Sega finally unveiled what the heck this thing is: Sega Forever is a new initiative to bring classic Sega titles to mobile devices, and the first batch of 5 games has just launched in the App Store today. On the surface, Sega Forever sounds great. The selection of games can come from any of Sega’s game consoles from the past, meaning everything from the Sega Master System right up through the Sega Dreamcast. The games are released for free and supported with ads, but a one-time IAP may be purchased to disable those ads as well as provide offline saving. Finally, and perhaps best of all, is that all Sega Forever games will support MFi controllers, so those that own a physical controller can play these games the way they were originally designed, with physical buttons. In practice, however, Sega Forever is pretty underwhelming, at least to start. Of the 5 games released today, 3 of them have already been available on the App Store from as far back as 2009. 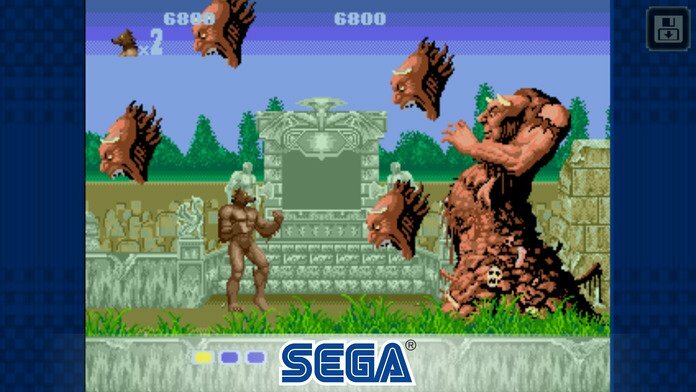 Altered Beast (Free), Phantasy Star II (Free), and Sonic The Hedgehog (Free) have all been previously released on iOS, and what’s nice is that if you owned those older versions the new Sega Forever versions are updates to the originals so you can actually hit the Restore Purchases option to unlock the ad-free versions of the game. At least, that’s how it’s supposed to work, and does work in both Altered Beast and Phantasy Star II. Sonic The Hedgehog seems to be having issues, though. Trying to restore purchases results in the game just hanging until the attempt finally times out. Luckily (for Sega, at least) you can still purchase a brand new ad-removal IAP if you’re really jonesing for removing ads, but those who purchased Sonic before will need to wait for Sega to hopefully fix this issue in an update. There’s precedence for this, as the exact same thing happened when Sonic CD (Free) went free with ads, and Sega released an update within a day that fixed the issue. Let’s hope for the same with the original Sonic The Hedgehog. 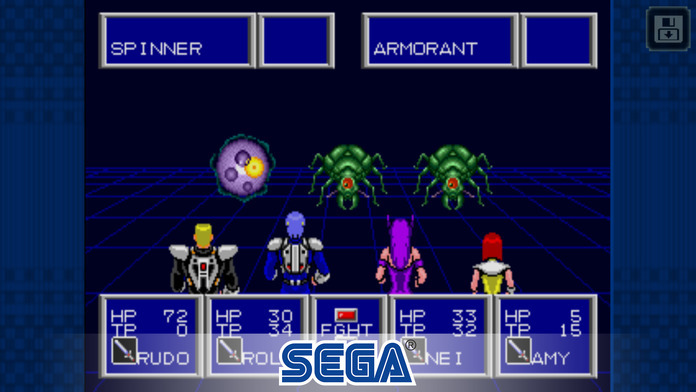 As for the 2 new-to-mobile games released through Sega Forever? Well, they’re both games that are fondly remembered for various reasons but neither has aged too well since their original releases. First is Kid Chameleon (Free), a pretty good platformer where the main gimmick was the ability to wear different masks in order to transform into different characters. Then there’s Comix Zone (Free), a side-scrolling beat ’em up that is remembered for its colorful visuals and its unique gimmick of having the game’s levels actually take place through comic book panels. This mobile version of Comix Zone was actually soft-launched about a month ago, and my verdict back then was that it was… just ok. It’s a bit finicky trying to control the game with virtual buttons, and there was a severe lack of bells and whistles to go along with the port. In fact, that’s kind of my main complaint with all the Sega Forever releases so far: These are about as barebones as they come. Sonic The Hedgehog is an exception as it was already the fantastic Christian Whitehead remastered version, but the rest of the titles don’t feel all too different than they did when they released on iOS 7 or 8 years ago. MFi support is nice and cloud saving is cool, but even basic options for moving around virtual controls or adjusting screen size and resolution would be really appreciated. And those types of options are pretty expected nowadays when older games are re-released. Even worse is that it doesn’t seem like it would take much effort to add things like that into these games. Now that Sega Forever has officially kicked off, I feel like the glass is exactly half full and half empty. I love the idea of it, and I fully support the pricing model of free with ads and the option to disable them for a one-time IAP. I’m also very excited to see games from systems other than the Genesis get released. But this first selection of games is pretty underwhelming, and while these versions certainly play better than those terrible ROMs wrapped in emulators versions from way back when, they’re still disappointingly barebones compared to most classic game re-releases. That could change by way of updates, and hopefully it does, but right now these games are about as basic as they come. We’ll continue to see how the Sega Forever intitiative evolves now that it has launched, and at the very least all of these games are free to download and check out, so if you’ve got a hankering for some classic game nostalgia give ’em a spin for yourself.